Multiple Currency Processing Go Global, deliver localized buying experience and avoid conversion disputes. Collect payments in 9 major foreign currencies and allow your customer to pay in the currency they know best. Multilingual Checkout Page Deliver a "localized" shopping and payments experience and reach out to all sections of consumers. CCAvenue multilingual checkout page offered in 18 major Indian and International languages provides a wider global reach. It engages consumers who prefer content in their native languages resulting in an enhanced user experience and increased transaction success rates. Easy Customization Design to complement your website. Customize the CCAvenue Payments page to the look & feel that suits your website. Upload your brand logo and modify the colour scheme to create a truly branded and seamless experience for your customers. Our brand-new Look-n-Feel editor lets you preview your Payment Page as you're making changes to it. Smart Dynamic Routing Imagination meets reality. Switch transaction dynamically depending on bank's performance to ensure consistently high success rates . On opting for CCAvenue's services, gateways of multiple banks are assigned across your account. CCAvenue's smart system detects the best performing gateway in terms of success rates and routes your transaction through it. In event of downtimes, scheduled maintenance breaks, load on the bank servers etc., CCAvenue's intelligent algorithms identifies the drop in success rates and automatically routes transaction through another bank's gateway. This ensures that the conversion statistics always remains on the higher end. filling the payment details can be tedious and time consuming. alternate payment option to complete the purchase successfully. actions and boosts success rate more than 15%! CCAvenue Checkout Comfortable and convenient checkout experience for repeat customers. 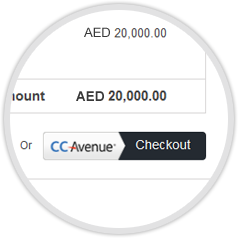 CCAvenue Checkout offers a smooth, fast and frictionless buying experience. This feature enables customers to store their credit and debit card credentials, billing and shipping details in a PCI compliant environment for future use. Card details are saved in an encrypted form and returning customers have to only enter the CVV and 3-D secure password when doing their next transaction. This facilitates speedy transactions, better customer retention, and encourages repeat purchases. CCAvenue Store Front No Website? No Problem. CCAvenue offers a fully customizable store front to its merchants who do not have a website for FREE. No technical or design expertise is needed to create a beautiful online store with CCAvenue. Simply choose a template, upload unlimited products, customize your online store, and begin accepting orders online. CCAvenue store front is designed using Responsive Web Design approach and is optimized for all devices. Your customers can browse and buy from your store while on the go, using any mobile phone or tablet! Bring your store in the hand of your customers. CCAvenue Shopping Cart Already have a website, use the FREE CCAvenue shopping cart. Integrate the CCAvenue Shopping Cart with your website and start selling online in less than 24 hours with the most basic HTML knowledge. 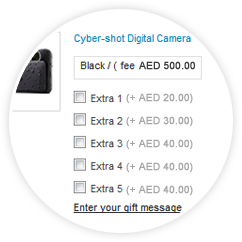 Simply add your products details, insert "Add to cart" button for all products and link it to the CCAvenue gateway. Customize the shopping cart page to match the look of your website and you're ready to sell online. CCAvenue Shopping Cart is designed using Responsive Web Design approach and is built to adapt to all devices. This enables your customers to shop even on the go. CCAvenue is the most preferred payment gateway for dozens of shopping carts, with more and more integrating every day. iFrame Integration Redefined user experience. Collect card credentials and accept payments on your checkout page using our secure iFrame integration without being PCI DSS certified. Reduce payment hops and allow customers to make secure payments without leaving your webpage for a seamless brand experience. Responsive Checkout Page Smartly engineered for all devices. CCAvenue transaction pages are designed using Responsive Web Design approach. It automatically optimizes the page for any device, be it smartphones, tablets, desktops or laptops. It looks great and enables easy reading and navigation with minimum resizing, panning, and scrolling, providing an optimal transacting experience for your customers on-the-go. Marketing Tools Features that complement your marketing efforts. Enhance your marketing and sales efforts, attract more customers and earn more, with our range of Marketing Tools. Create, manage and showcase your offers and promotions to your customers. Discounts: Offer flat or percentage discount on your product price. Promotions: Strategize bank alliance to run BIN based promotional campaigns. Invoice Payments Faster, easier way to invoice. Research shows that invoices are paid more quickly when online payment is enabled. CCAvenue makes invoicing easy, automatic, fast and accurate. Create itemized invoices in multiple currencies in under a minute! Monetize your Social Network Platform. Sell products and collect payments in-stream across social network instantly and reach out to fans, friends and followers through social media. No more "Shopping Carts", No more "Proceed to Pay" and No more "redirection to merchant website" - Just Snip Through! CCAvenue PhonePay Transaction just a Phone call away! CCAvenue PhonePay is perfect for businesses that have customers who prefer to pay over the phone. We provide an enterprise-level secure IVR (Interactive Voice Response System) that enables you to collect payments securely over the telephone through an automated voice prompt driven process without the equipment, hosting, programming or recurring maintenance costs. You can securely collect payments without the telesales executive getting access to your customer's confidential card data as these details are entered using the telephone keypad which cannot be deciphered. Live Monitoring Pro When precision matters. CCAvenue Live Monitoring Pro is a transparent, real time monitoring tool that constantly monitors the health of bank servers by performing automated and manual checks for server and transaction status. Receive real-time updates of bank servers experiencing downtime or fluctuations, prior alerts for scheduled downtime of banks, transaction status and recovery status as intimated by the banks. 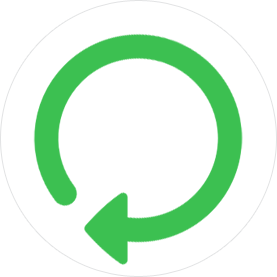 These updates enable you to take timely corrective actions ensuring best success and better user experience. | Dynamic Event Notification When automation matters the most. CCAvenue enables you to register URLs for various events that occur in your account. When the event occurs, CCAvenue creates an event object that contains all the relevant information and posts this request with the event object to the URL in your account's dynamic event notification settings. Dynamic Event Notification notifies you about the events that happen in your CCAvenue account to take timely action towards it. CCAvenue F.R.I.S.K Fraud & Risk Identification System & Knowledgebase With a combination of best practices, leading technology and human intelligence, the CCAvenue F.R.I.S.K. engine provides an unprecedented level of risk detection and helps assess each transaction against a negative database collected over a decade and is verified by our dedicated risk management team over 150 variables like high risk global IP address verification, BIN number mapping, Keystroke speed recording etc. CCAvenue also provides you personalized transaction controls like velocity checks and blacklist controls to set specific criteria to limit their risk exposure. Velocity Checks: You can define a simple velocity filter for several parameters and all the transactions will be passed through the velocity filter before being processed. Blacklist Controls: Based on your data of negative transactions you can restrict fraudsters from transacting on your site by blocking their Country, Email ID, Card Number or Geo IP location. Smart Analytics Transparency to the core. We provide a beautiful set of real-time statistical reports with complete transparency to get a 360° view of your business performance in the competitive online industry. Our insightful data analytics helps analyse performance and maximize your business potential. Fastest Activation & Easy Integration Go live in as less as 24 hours! On receipt of your documents, our trained compliance officers ensure that your CCAvenue account is activated within 24 hours. Integrating CCAvenue on your site is easy and involves minimal cost and effort. Our fast and seamless integration APIs, detailed integration kit and our well defined internal processes, enables you to get started with your online business in the shortest possible time. Super Support A dedicated team of experts, ready to help. We strongly believe that 'Our Success Lies in Your Success'. Our experienced team of engineers are empowered to solve your queries using email, chat and telephone - whenever you need it, 24x7x365. We also have dedicated relationship managers allotted to clients with huge volumes. No scripted answers or one-size-fits-all solutions here: just the support your business needs.